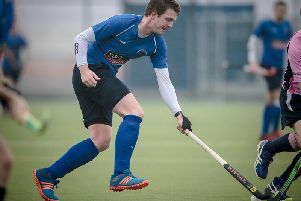 The as yet unbeaten Ainsty Road outfit recorded a seventh win in nine league outings on Saturday afternoon, a result that ensures they remain top of the North Division One standings. 'Gate began strongly and won an early short-corner through Ben Collinson. Alfie Weaver stepped up, and for the third week running, drilled a drag-flick past the Newcastle goalkeeper. Another composed Weaver finish from a short-corner then doubled the home side’s lead and the league leaders were looking comfortable. Buoyed by a partisan home crowd, Charles Edmondson was keen to get in on the act and, after picking up the ball out wide close to the halfway line, he made the score 3-0. There looked to be little danger when Harrogate’s leading marksman seized possession just inside away territory, however the lethal forward made his way past several defenders before rounding the keeper and rolling the ball home. Seemingly dead and buried, the students improved after half-time and managed to force their way back into the contest. Their main goal threat slammed home a short-corner just moments into the second period before another impressive strike in to the bottom corner reduced the arrears further. 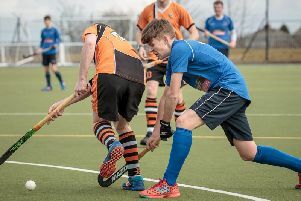 The comeback was then completed as a University forward scrambled the ball past 'Gate custodian Rob Stanworth, leaving the hosts visibly shell-shocked. Both teams had chances to edge in front, though it was Newcastle who looked the more dangerous with their tails up. However, a sublime bit of skill from Ally Young led to a visiting defender diving in with a horrendous tackle and a penalty-stoke was awarded. Andy Clemerson held his nerve and buried a strike in to the top right-hand corner of the net, restoring the home lead at 4-3. There was still time for Stanworth to be forced into making a smart save from a short-corner before the final whistle was blown with Harrogate still in front and still top of the pile. Reflecting on the victory, match-winner Clemerson said: "We knew the type of game Newcastle would bring and, having lost the same fixture comfortably last year, this is a great result. "Perhaps more important - and evidenced by our last three results - is the team’s ability to grind out results when not necessarily playing near our potential. "We'll need to improve again next week [away at third-placed Leeds 2s] and put a more consistent 70-minute performance together if we are to to beat another good side." Harrogate's Ladies 1s did not fare quite so well when they tackled Newcastle University, losing out by a 3-1 scoreline.